There was one song that Sam Amidon played on the violin this past Thursday at the Troy Savings Bank Music Hall that may have made every heart anxious and then nearly stop beating. It was a tear-inducing performance that I’m still sad is over. Picture note: Listen for Sam’s interview and performance this week on WEXT. A little bit of the Local 518, a little bit rock, a lot of hand clapping, and a lot of songs that I’d like to keep on repeat forever. The folks at WEXT are getting pretty psyched to be a big part of the Restoration Funstival that’s happening at the end of August. A two day music festival in Albany! It’s happening from noon to 10pm at St. Joseph’s Church on Saturday, August 28 and Sunday, August 29. The poster for the event is pretty cool looking and the musical lineup is gigantic. Here are a random few: Matthew Carefully, Aficionado, the Mathematicians, Railbird, RESTYS, The Red Lions, Grainbelt, Scientific Maps, Beware! The Other Head of Science and Sgt. Dunbar & the Hobo Banned. There are lots of great things about this Funstival but this is my favorite: 25% of all proceeds will go to the St. Joseph’s Restoration fund to support their $300,000 matched grant from the New York State Office of Parks, Recreation, and Historic Preservation. 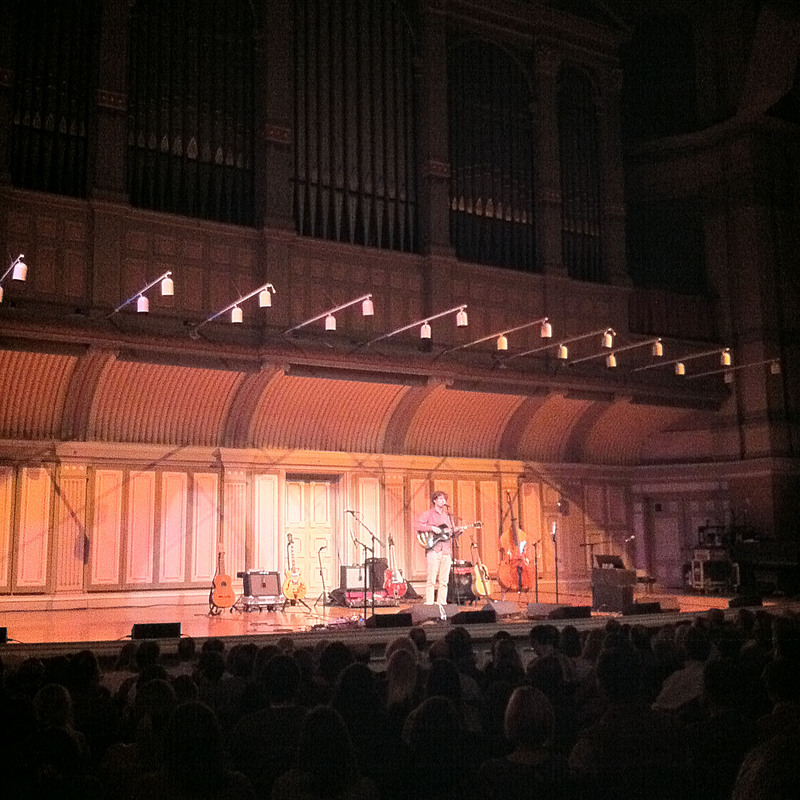 I hear that the inside of St. Joseph’s is very cool, a good place to let a mind wander during a music set. WEXT, All Over Albany, B3nson Recording Company, and Historic Albany Foundation are the sponsors of the Restoration Funstival. It’s a few minutes into Sunday and I’m getting ready for tonight’s show. I’m pretty sure that the first song will be from Yo La Tengo. 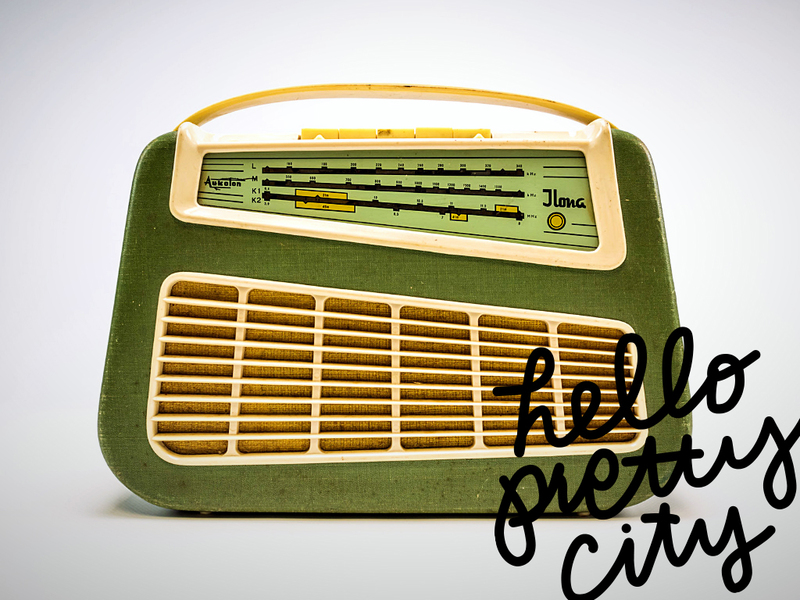 4/4/10 playlist for the first Hello Pretty City on WEXT! Great Lake Swimmers: See You on the Moon! Hey there! The first Hello Pretty City show on Exit 97.7 is nearly here! I even know what the first song is going to be! I’m starting to pick out songs for upcoming shows, too. Last week I checked out the newest Ben Kweller album from the library and I really like it. It’s official! 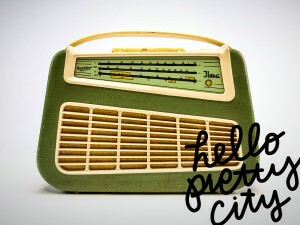 Starting Sunday, April 4, 2010, Hello Pretty City will be on Sundays from 8-10pm on Exit 97.7, WEXT. If you’re in the Capital District you can tune in on 97.7fm. 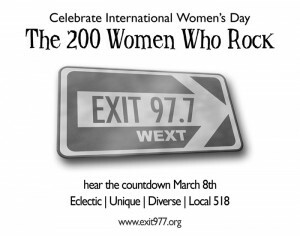 Or if you’re anywhere you can stream it online at www.exit977.org. It’s an honor to be on Exit 97.7!